Ginger is a commonly used spice that hardly needs any introduction: It is popular all over the world. It is used in both savory and sweet dishes, both alcoholic and non-alcoholic drinks. Many people however are unaware that in recent years a significant amount of scientific study has been done on Ginger and numerous medicinal benefits have been reported from these lab studies. If you are a first-time visitor, please be sure to like us on Facebook and receive our exciting and innovative tutorials on herbs and natural health topics! Fighting Off Colds and Flu Wheezing, coughing, and a runny and clogged nose are common respiratory symptoms during the winter months. Ginger can help ease these symptoms by acting as a decongestant to release phlegm. Ginger is also effective in helping to relieve asthma symptoms. The volatile oils and vitamins in ginger provide antiviral properties that help in the prevention and fast recovery from colds, sore throat, sinusitis and flu.The University of Maryland Medical Center states that to treat cold and flu symptoms in adults, steep 2 tbsp. 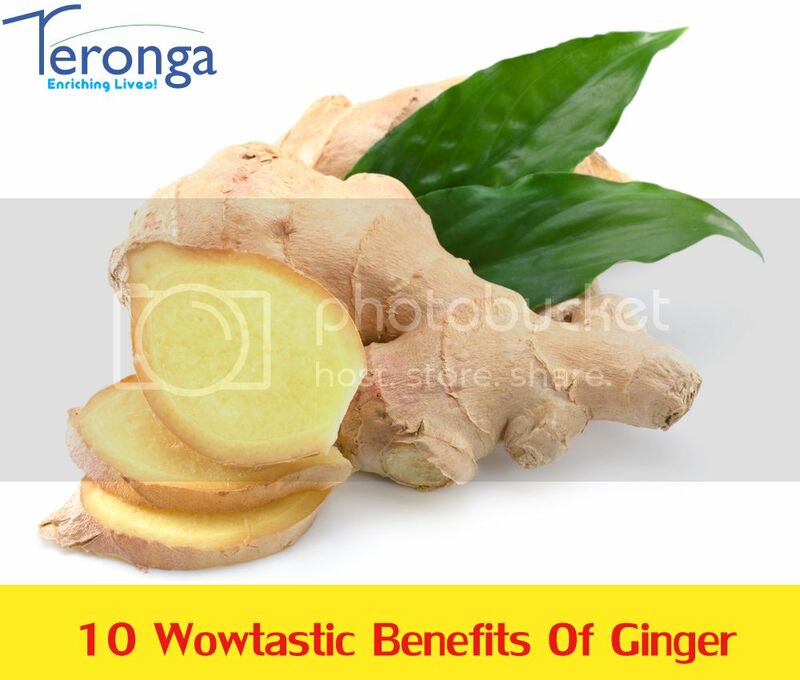 of freshly shredded or chopped ginger root in hot water, and drink two to three times a day. Relieving Cramps, Morning Sickness and Motion SicknessGinger has demonstrated a success rate of 75 percent in curing morning sickness and stomach flu. It also relieves migraines and dizziness, and drinking ginger tea can relieve menstrual cramps. If you are a woman suffering from menstrual cramps, try placing a hot towel drenched in ginger tea over the pelvic area to relieve pain and relax the muscles. Drinking a cup of ginger tea can also provide a soothing effect.To keep from being nauseous during a trip, drink a cup of ginger tea before setting off on your travels. Maintaining Normal Blood CirculationGinger contains chromium, magnesium and zinc which help to improve blood flow. Consuming a cup of ginger tea can help improve blood flow, as well as help prevent chills, fever and excessive sweating. The active components of ginger, such as minerals and amino acids, help make the blood flow smoothly, and may help prevent the onset of cardiovascular disease. Relieving Stress and Coping with DepressionGinger contains a potent antioxidant called gingerol, which helps cleanse the harmful chemicals our bodies produce when we’re worried, helping relieve psychological stress. Ginger also stimulates the production of stomach acid, crucial to digestion, which can break down when we’re stressed. That’s explains how stress can lead to an upset stomach! Hot water with a slice of lemon and chopped ginger is an excellent way to stimulate digestion.Ginger tea is a remarkable stress reliever because of its comforting and relaxing scent. Simply taking a whiff of ginger tea may be all you need to help improve your mood. Also, some compounds present in ginger have the capacity to bind to human serotonin receptors, helping in the treatment and reduction of depression and anxiety. Fighting CancerA study at the University of Minnesota found that ginger may slow the growth of colorectal cancer cells. Ginger powder has also been proven to induce cell death in ovarian cancer cells. Healing Hypopigmentation Scars (White Scars)Hypopigmented scars, or skin that has lost its’ pigmentation, can often be remedied with ginger. Just cut a fresh slice of ginger root and rub the juice over the skin two or three times a day. Cut a fresh slice each time you do it, and don’t rub the skin too hard. Ginger triggers the melanocytes that are not working under the skin, to react and mimic their neighboring cells. Hypogimented scars will appear to shrink and then blend between 4 to 12 weeks use. Treating Bad BreathGargling with ginger and lemon juice is a very good natural remedy for halitosis or bad breath. Add a teaspoon lemon juice and a teaspoon ginger juice to a glass of warm water and gargle with it once or twice a day. Strengthening The Immune SystemPacked with antioxidants, ginger can help improve the immune system. Consuming a little bit ginger a day can help foil potential risk of a stroke by inhibiting fatty deposits from the arteries. It also decreases bacterial infections in the stomach, and helps battle a bad cough and throat irritation. Reducing Pain and InflammationGinger is an extremely potent analgesic, acting as an all-natural painkiller without the harmful side effects. It also contains potent anti-inflammatory properties. Ginger tea can ease inflammation of the joints, which is commonly referred to as rheumatoid arthritis. It is also effective in alleviating tired, sore muscles and joints.A warm ginger tea soak can lessen swelling and puffiness, or rubbing ginger oil on an affected area can help reduce pain. Intake of ginger twice daily has been shown to improve the pain and swelling of the joints in arthritic patients and improves their range of motion. Combating Stomach DiscomfortGingers healing properties come from it’s volatile oils (gingerols and shogaols), which are also responsible for it’s pungent taste. The oils cause more digestive enzymes to be produced which helps with the whole digestion process and neutralizes the acids that can cause nausea, cramps and even diarrhea. It also improves food absorption which helps prevent/relieve stomach aches and eliminates bloating due to excessive gas.